bytes of history: uploading history to the internet - a personal view. Geoff was gifted his first surfboard in 1966, graduated University of Sydney in 1972, became a mattress-maker in 1975, and began composing and uploading his web-site on the history of surfboard design in 1999. An example of antiquarian history, www.surfresearch.com.au has been archived annually by the National Library of Australia since 2013 and currently comprises 11,000 files at +400 mega-bytes. Following some comments on the philosophy of history, the illustrated presentation examines the basics of formatting of web page, content versus design, print versus digital media, copyright in the 21st century, the democratisation of knowledge; and a brief overview of the history of surfboards. I'm Geoff, this is the home-page of my web-site, this is one of my surfboards, and these are some of my books. Mr. O'Sullivan was my Modern History teacher 1968-1969 for the HSC. He would regularly bring his reference books and copious hand-written notes to class to work on the book, and he was inspirational in my love of history. A landmark in television documentaries, Kenneth Clark's Civilisation - A Personal View was commissioned by David Attenborough for BBC2. It was broadcast, in conjunction with the book's publication in 1969, with Clarke presenting an antiquarian history of Western art, architecture and philosophy since the Dark Ages; demonstrating his deep appreciation, and love, of beautiful things. Clark's focus on Western art and his acknowledgement of the genius of certain individuals (White Dead Males), while valuing a society that makes their existence possible, is arguable and has prompted significant controversy. However, his marvellous use of the conditional, A personal view, in allows him enormous latitude to pontificate across a diverse range of themes and subjects. Please note for today's presentation I have stolen Clarke's sub-title, and also that surfboards are basically a carved sculpture, something like a work of art. Following the success of Civilisation, Attenborough commissioned The Ascent of Man, presenting the "personal views" of Jacob Bronowski over 13 episodes broadcast in May-July 1974, preceded by the publication of the book in 1973. Expanding on ideas initially expressed in The Commonsense of Science (1951), Bronowski's personal view was expansive and ambitious, an attempt to create a philosophy for the twentieth century- a modern alternative to all established religions and philosophies. His philosophy is reflected in his Polish-Jewish-British, and sometimes American, culture; and in his experiences as a mathematician, biologist, historian of science, theatre author, poet, inventor, humanitarian, parent, and lover. Bronowski's central thesis is that man does both art and science; my work attempts to examine the art and the science of surfboard design and of wave riding. Like Clark, he recognises genius; the work of Charles Darwin, acknowledged in Bronowski's clearly optimistic title, of crucial importance. And like Clark, and Thomas Edison, and Homer Simpson, he is in awe of Leonardo da Vinci; but notes with regret that his notebooks of scientific research were undiscovered for centuries, and only found way past their use-by-date. Similarly, although published (obscurely), the profound work of Gregor Mendel lay undiscovered for 30 years; these examples supporting Bronowski's proposition that the ascent of man is conditional on the democratisation of knowledge. 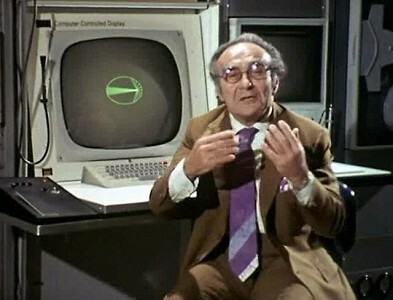 Bronowski is fascinated by tools, for both science or art, from hand axes to computers; and at the dawn of the computer revolution, the broadcast featured extremely advanced computer graphics. He is also filmed sitting in front of the now ubiquitous screen and keyboard; in 1974 Bronowski could have only vaguely envisioned the potential power of millions of these machines linked together, and their impact on the democratisation of knowledge. I bought my first computer in 1998 and immediately began searching for stuff about surfboards on the internet. After six months, I learnt a fair bit about the internet, but found nothing about surfboards that I did not already know. I then began my first attempt at a web-site; this disaster was followed by a first edition, successfully uploaded in late 1999 with considerable assistance of Thomas Mance of Berry. My first decision was to pay the hosting fees myself, with no commercial advertising or trading, and my work would be freely available online, potentially global. This gave me full editorial independence and, I hoped, as it was for personal research only, may side-step any issues of copyright, especially using images. Second, with my potential readership completely unknown, I would just write about whatever I considered interesting or important. Thirdly, for the (first) title of my work, I stole Pods for Primates. A web-page appears on-screen, something like a printed page, with text and images but formatted in html. An ordered collection of web-pages linking from a home-page together to make a web-site. I do not read, write, or speak html; this page is put together in Seamonkey Composer, the text and the images formatted in simple invisible tables and between horizontal lines. Web-page design (the way it looks) has seen incalculable changes in technology and fashion, and how a web page-looks is considered immensely important; by web-page designers. Despite their protestations, content rules. In Composer, I chose a light background, dark text, and arial as the font (sans serif, and at the top of the menu). Each page has a basic menu in the head and foot, the site expanding tree-like through a series of menus. These elements remain, but over time there have been many adjustments to the formatting, notably the change of title after registering www.surfresearch.com.au, this title also stolen. Other major changes were the use of Hokusai's Under the wave (public domain) in the header, adding an accreditation to the foot, and formatting the text for Easy Screen Reading (ESR), where each sentence takes a new line, and paragraphs are indicated by a space. The digital page, unlike a sheet of paper, is not limited in size, quality or cost. As the amount and quality of the content is not confined by the economic strictures of the publisher, or the demands of an editor, and it is possible for the web-page composer to record, and store, almost anything of relevance that they encounter; with just a chance that, although obscure today, it may have significance in the future. Furthermore, website's do not have usually have a publishing deadline, the content can always be adjusted or changed, and the work is opened-ended and may not ever be competed. Here, each entry or chapter, appears as one page, and I always scroll down. Printed images are reliant on the quality of the paper, the ink, and the press; and subject to the whims and fashions of the designers. My images are scanned large, cropped, re-sized to 72-96 dpi, and the height (mostly) adjusted in multiples of 50 pixels. They are meant to be accredited and appear, unlike in many books, adjacent to the relevant text. Despite my reservations about copyright, I have only had three requests for photographs to be removed; on the other hand, several photographers have expressed their appreciation. Introduced in 1710, copyright policy has reached a new level of controversy with developments in digital technology; it is unclear what the situation will be by the end of the 21st century. Up to this point I have made several comments on stealing ideas; in 1983 Bob Dylan observed Steal a little and they throw you in jail, steal a lot and they make you king. My kleptomania reached critical mass around 2006 when my work was accredited by Sydney's Powerhouse Museum, later acknowledged in Matt Warshaw's History of Surfing in 2010, and archived by the National Library of Australia in 2013. For Bronowski all moral decisions are grey, and it is virtually impossible to envision their eventual impact. A web-site can link between web-pages, like turning the pages of a book, or from menus (initially on the home-page), similar to a table of contents. Started in 2001, it now has over 5 million articles (in English, but less than 300,000 articles in Norsk), and is an outstanding example of the democratisation of knowledge. While I spend hours creating menus and file-names for pages and images, I am acutely aware that most readers will access the site from a search engine. And, if they find what they are after they may not be aware of other associated information, for example a search for montagu whaler. My work was initially based on cataloguing my surfboard collection, however in most cases determining a actual date of construction is difficult, usually an educated approximation. I decided to list the boards from my first board; starting from 000000001, the master-base with potentially up to a million entries. The entries are then listed chronologically in the Catalogue, with a separate list for small boards (paipos), and these lists also appear as images of the board templates, with the images to scale. Scrolling down, presents an overview of the evolution of surfboard design. There is also a separate alphabetical listing surfboard manufacturers, surfboard fins, and (scrolling across) portraits of surfers and their boards. One day, when playing with a bunch of my boards in the backyard, I had a revelation- that surfboards could only come in three distinct templates; either that have more area in the nose, or in the tail, or they are roughly equal. Later, I was only mildly surprised to find that, six centuries earlier, Leonardo had the same idea. The history section is messy and inconsistent- some entries are merely skeletal, others are extensive. The source documents reproduce accounts from books and magazines related to my research; these were initially prepared by scanning the images and formatting the text with OCR, but now a huge amount of material is now available online. The separate section for newspapers was began by printing sections found on microfiche in the State Library, however this has become far easier with access to Trove and Chronicling America. References include an alphabetical listing of books, magazines, film, and links to some external websites. The Appendix includes a glossary, and anything else that does not fit in the other sections. This is a copy of my first surfing book, a Christmas gift in 1970 and one of the worst examples of editing ever published. A Pictorial History of Surfing by Margan and Finney is actually two books mashed together, with Ben Finney's The Sport of Hawaiian Kings (1966) inserted in the middle of Frank Margan's history of surfing in Australia. The text is continuous, with no chapters or headings, and the excellent images rarely appear adjacent to the relevant text. ()Based on his master’s thesis in anthropology with articles in The Journal of Polynesian Society in 1959 and 1960. James Hornell:Water Transport- Origins and Early Evolution,1946. Australian contributors includeGeoff Cater, South Coast, NSW. The Historian's Great Big Book of of Conditionals. Every budding historian will be thrilled to dig into this extensive compendium of slippery words and phrases to get you off the hook from ever having to say something definite. Those looking for something more exotic than the familiar and well-worn around this time, possibly, at some point, perhaps, it could be the case, likely, it has been suggested, occasionally, and some have expressed the opinion, will be sure to find inspiration somewhere in its 355 pages. Geoff Cater (2017) : Bytes of History, 2017.